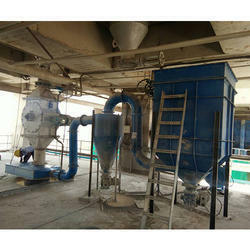 Pioneers in the industry, we offer bag filter from India. We are among the pioneers in the industry, offering premium quality Bag Filter manufactured from optimum quality raw materials to provide rigid construction and durability. These bag filters are used in industrial plants to clean the air from dust generated by various processes, receiving bins, belt conveyors, and other components. Bag filters are provided with maximum space, optimum air to cloth ratio and offer hurdle free operation. Effective Design according to American Ventilation System Standards.